Music can help you meditate. Free Zen meditation music helps you reach an inner calm that you can't achieve in silence. If you are new to Zen meditation, it can sometimes be difficult to quiet your mind enough so that you can relax. Meditation music can give your mind something peaceful and tranquil to concentrate on while you try to reach a state of higher awareness. Zen is a form of Buddhism that focuses on attaining awakening through meditation and the mindful attention to one's actions. A Zen Buddhist hopes to connect with enlightenment through direct experience. Zen emphasizes personal experience rather than scholarly or secondhand experiences. Zen meditation is a central practice of the Zen tradition. Zen Buddhists practice meditation or "zazen" on a daily basis. They begin in a seated position, with the legs crossed in a meditation pose. After getting completely relaxed, the individual will begin concentrating on his or her breath. As each breath is drawn from the belly, he or she will notice the response of the body and guide the mind into a more enlightened state. How Does Zen Meditation Music Help? Staying focused during meditation is the biggest challenge for most people. When you sit down to meditate, you may find your mind drifting off into day to day affairs that you need to take care of, like paying bills or cleaning the house. This is a result of concentrating too much on the wrong things. On the other end of the spectrum, you can concentrate too little. If you don't develop the right amount of concentration on your breath and your body, you can fall asleep while trying to meditate. Losing concentration during meditation is just as bad as having too much concentration. Zen meditation music can help increase your concentration enough to stay with the meditation. It also helps take your mind off your day to day activities. Music has been used for thousands of years as a way to get people into a sacred state of mind. Zen meditation music can help you enter the sacred and relaxing state that you are searching for. Music also helps you time your meditation session. A problem that some people experience with meditation is that their mind is always focused on the time and how long they've been in a meditative state. By using music with a specific duration, you can allow your mind to focus on your session and not on how long you've been sitting there. Once the music ends, you simply end your session. Waiting for the music to end is a lot more pleasant than being jarred out of your meditation with an alarm. 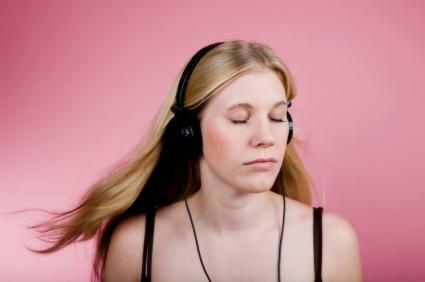 There are many outlets for music online and many offer free Zen meditation music for you to listen to. Some offer the music completely free and others require that you register for a free service in order to listen to the music. Rhapsody offers a wide variety of Zen Meditation music, like Oriental Sunrise: New Music for Zen Meditation. The music is free to listen to and you can purchase the MP3s if you want to listen away from your computer. Be sure to have your pop up blocker disabled when you use the Rhapsody player. Google Video offers many user created meditation videos set to music. You can watch the guided imagery or simply close your eyes and listen to the relaxing music. Adding free Zen meditation music to your relaxation techniques can help you focus your meditation practices more effectively. By being able to focus your meditation, you will be able to relieve stress more easily and achieve a more positive, relaxed state of mind.